The Bonn Climate Conference 2017: Progress on the implementation of the Paris Agreement and higher ambition? 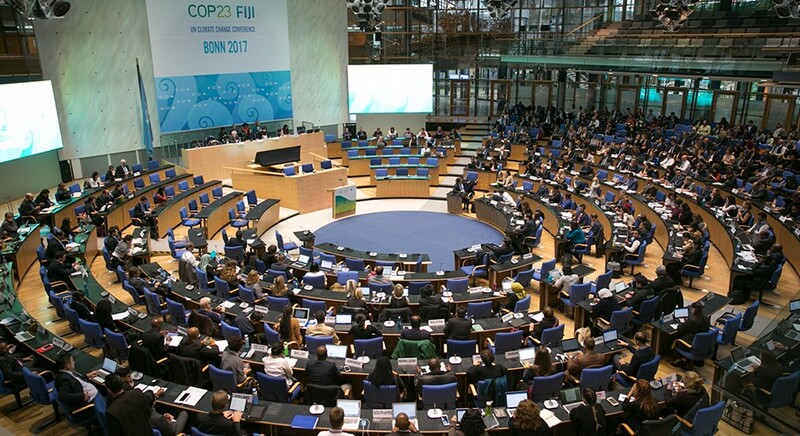 THE LATEST round of United Nations climate negotiations concluded on 18 November 2017 in Bonn, Germany. What is the state of international climate policy after the meeting and what lies ahead for 2018 and beyond? THE NEGOTIATIONS in Bonn were intended to have a mainly technical focus. Major outcomes were neither expected nor achieved. Still, the negotiating agenda was packed with issues ranging from agriculture and gender to indigenous peoples and loss and damage caused by climate change. Also high on the agenda were the main building blocks of the UN climate regime, namely mitigation, adaptation, finance, technology and capacity building. ONE OF the main issues in Bonn related to the development of detailed rules for implementing the 2015 Paris Agreement. The deadline for concluding these important negotiations is in December 2018. While progress was achieved on some issues, long-standing controversies also surfaced and largely stalled negotiations on the crucial issue of mitigation. THE PARIS Agreement’s key achievements include that its basic mitigation regime applies to all Parties; the Agreement does not refer to the outdated categories of developed and developing countries in the 1992 UN Framework Convention on Climate Change and gives more consideration to countries’ national circumstances. However, during negotiations on guidance on Nationally Determined Contributions (NDCs), China, India and their allies in the Like-minded Developing Countries group called for returning to a bifurcated system where different rules apply to developed and developing countries respectively. For many, such a system would constitute a major step backwards and the proposal met strong opposition especially from developed countries. Ultimately, countries forwarded 180 pages of text on mitigation to the next negotiating session in May. The text leaves all the highly divergent options on the table, including by reproducing word-by-word submissions from several countries and coalitions. THE PARIS Agreement relies on global stocktakes at five-year intervals from 2023 onwards to increase collective ambition. A similar exercise, a facilitative dialogue, was agreed in Paris for 2018. Now known as the Talanoa Dialogue -inspired by traditions of COP 23 President Fiji – this exercise will be an important opportunity to test the Paris Agreement’s largely procedural approach to mitigation. THE TALANOA Dialogue will be informed by the Intergovernmental Panel on Climate Change’s Special Report on the 1.5°C target, scheduled for October 2018. Given that countries should submit new or updated NDCs in 2020, the hope is that the IPCC report along with the Talanoa Dialogue will lead to a stronger response to climate science and to more ambitious NDCs. DIVIDED INTO preparatory and political phases, the Talanoa Dialogue will take place from January to December 2018. It will focus on three main questions: where are we; where do we want to go; and how do we get there. Positive elements in the Dialogue’s design include its comprehensive and participatory nature. Parties, stakeholders and expert institutions are invited to provide analytical and policy-relevant input. They are also invited to organize local, national, regional and global events in support of the Dialogue. A PROBLEMATIC feature of the Talanoa Dialogue’s design is that there is no clear path forward from the Dialogue towards more ambitious NDCs. The Dialogue’s outputs will include summaries and reports of the discussions. The outcome is also “expected to capture the political momentum, and help Parties to inform the preparation of nationally determined contributions.” However, there seems to be nothing in the design to ensure that ambition will indeed be increased following the Dialogue. HOW, THEN, to start building the momentum for more ambitious climate action? An obvious challenge for the political climate is that President Trump has announced intentions to withdraw from the Paris Agreement in 2020 and the US federal government is no longer providing global climate leadership like it did during the negotiations for the Paris Agreement, especially through bilateral cooperation with China. WHILE IMPORTANT, these steps are not by themselves enough to guarantee that ambition will be increased in 2020. Stakeholders within EU countries and elsewhere should therefore take advantage of the participatory nature of the Talanoa Dialogue and build pressure on politicians to take stronger action both nationally and internationally. An encouraging example of going beyond the official government position is the ‘alternative’ US represented through individual states, cities and other stakeholders. 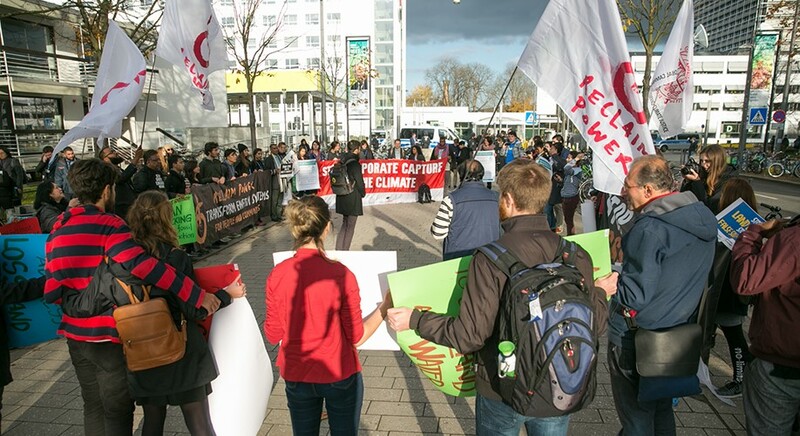 The ‘alternative’ US was highly visible in Bonn and plans to remain active in global climate policy despite the backward position on climate change by the Trump Administration. THE PARIS Agreement’s legal structure is interesting and innovative in that it includes opportunities to bring various actors at various levels of global governance closer together, including when preparing NDCs and evaluating collective progress through global stocktakes. The Talanoa Dialogue will provide the first important opportunity to test this design and hopefully show that it can actually work in increasing collective mitigation ambition. Yamineva works as a senior researcher at CCEEL. The urgent challenges of climate change and air pollution could benefit from more integrated consideration under international law. As this blog post explains, climate change and air pollution are currently mostly addressed through separate international legal instruments and regimes. The blog post therefore identifies ways to build stronger links and synergies between policy measures to address these issues through international law. WHY INTEGRATE CLIMATE AND AIR QUALITY GOALS? Policies to address climate change and air pollution include potential for win-win solutions. Some pollutants, especially black carbon, have both a detrimental effect on air quality and a warming impact on the climate. However, other air pollutants have a cooling effect and reducing their emissions could lead to an overall warming result. Furthermore, policy choices in one domain can have harmful effects on the other: for instance, the EU policies, aimed at developing diesel technology in the car industry in order to meet carbon dioxide reduction targets led to an increase in nitrogen oxides and particulate matter pollution in urban areas. There are clear benefits from a harmonised approach to tackling air pollution and climate change where mitigation measures are assessed for their potential impact on climate, air quality, human health and ecosystems. The key example relates to reducing emissions of short-lived climate pollutants (SLCPs). Due to their short lifetime in the atmosphere, SLCP emission reductions, especially those of methane and black carbon, could slow the rate of global warming by 0.5°C by 2040. In addition to their warming effect, black carbon and methane have a negative effect on air quality and the environment: reducing these emissions could avoid 2.4 million premature deaths globally by 2030 and have positive impacts on agriculture and ecosystems. Focusing on mitigating SLCP emissions is therefore an attractive option to slow down global and regional warming in the short term, while at the same time improving local air quality. International law largely treats the two policy goals – slowing down climate change and improving air quality – through separate instruments. This is unsurprising as climate change has traditionally been framed as a global problem, while air pollution has been understood by policy makers as a local or at best a transboundary issue. These different framings have implied that climate change should be addressed through legal instruments of global coverage, whereas air pollution can be effectively mitigated through regional and national/local measures. More recently, however, it has become apparent that the impact of air pollution goes beyond local or regional areas: this includes not only the impact on the climate referred to above but also worsening air quality due to atmospheric transport of air pollution from distant sources. Therefore, the problem of air pollution also requires global approaches. Looking at international climate law, the 2015 Paris Agreement does not define what specific greenhouse gases or other warming substances it covers and in this sense does not address specifically methane or black carbon. One caveat to this is that the rulebook for the implementation of the Agreement is still under negotiation. 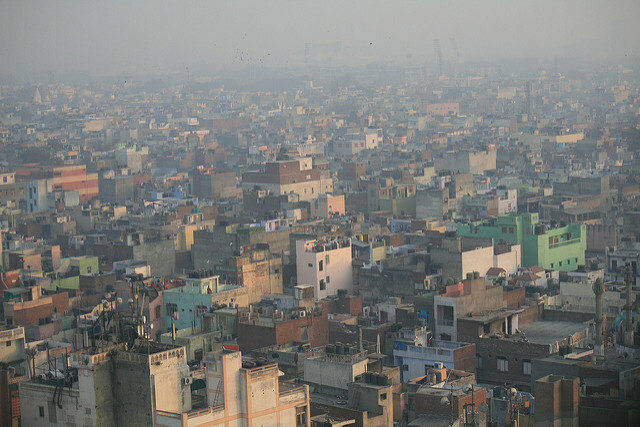 The Agreement also contains no references to air pollution, although the connection may be implied from multiple mentions of sustainable development. At the same time, methane has traditionally been within the scope of the UN Framework Convention on Climate Change (UNFCCC) regime: it is part of national reporting and covered by the Kyoto Protocol’s emissions reduction targets. It has received somewhat less attention though as the main discussion thus far has been on a long-term response to climate change and therefore on reducing carbon dioxide emissions. Black carbon, which is an aerosol and not a greenhouse gas, has not been covered by the UNFCCC regime. Unlike international climate law, which centres on the UNFCCC regime, international law on air pollution is heavily fragmented. This issue is regulated in an ad hoc fashion through a patchwork of legal instruments covering specific regions, activities and substances. There is no single legal framework with a global reach and prospects for developing one are at present low. Lack of comprehensive and holistic treatment of air pollution in international law results in gaps in geographic, pollutant and pollution source coverage. Looking across international air pollution frameworks, it can be concluded that these are rarely sensitised against climate impacts of air pollution measures. Air pollution treaties typically refer to transboundary effects of pollution but not to global effects, including climate change. There is for example no comprehensive global coverage of black carbon emissions. 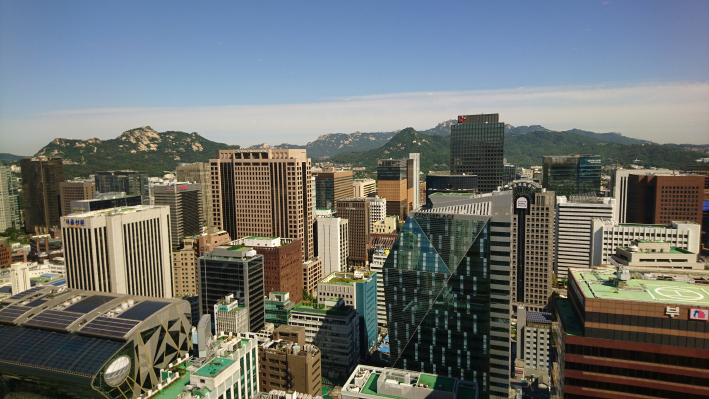 A regional exception is the Gothenburg Protocol to the Convention on Long-range Transboundary Air Pollution which was amended in 2012 to include emissions reduction targets for fine particulate matter. Although the black carbon component of these targets is not specified, the parties are encouraged to focus their mitigation action on black carbon rich sectors. The Gothenburg Protocol is thus the only multilateral environmental agreement to include black carbon in its scope. However, the amendment has not entered into force pending ratification by two-thirds of its parties and the geographic scope of the Protocol is in any case limited to Europe and North America. There are multiple synergies between these two domains of international law which can be advanced for a more coherent approach to climate change and air pollution. Scientific cooperation and collaboration in inventory development and reporting is one of the key areas. Data and scientific analyses are a fundamental step in developing sound environmental policies, and emission inventories are particularly important for developing national mitigation measures. For instance, scientists say that the best way to maximise climate and air quality benefits is to focus on sources with a high black carbon component rather than on those with a high component of cooling substances. There are clear synergies between international climate change law and air pollution instruments in terms of inventories. The UNFCCC already has in place a well-developed global reporting framework for methane which air pollution frameworks could capitalise on. For black carbon, current reporting frameworks are fragmented, incomplete and mostly confined to the Northern hemisphere. More generally, global data on air quality as well as particulate matter and black carbon emissions are scarce or unavailable. The problem is especially acute in many developing countries which have poor capacity and systems to monitor air quality. This makes capacity-building activities at the global level crucial. Another important direction is raising awareness about linkages, co-benefits and trade-offs between climate change and air pollution policies, including with respect to black carbon and methane. In this context, the Climate and Clean Air Coalition (CCAC), which is a public-private partnership led by governments, has already played an important role through scientific assessments and communication of SLCP impacts and potential mitigation actions. Although the Paris Agreement does not per se integrate air quality concerns, the country-driven approach to mitigation action implies that diverse mitigation efforts can be accommodated under its framework. Potentially any substances, including methane and black carbon, can be incorporated into nationally determined contributions. In fact, many countries have already included methane, several have mentioned SLCPs, and some, such as Mexico and Chile, have specifically mentioned black carbon in their intended nationally determined contributions. The situation is more complex regarding integrating climate change concerns into air pollution frameworks due to the number of related instruments and their incomprehensive coverage. This for instance means that there is no one single interface on air pollution at the global level which makes institutional cooperation between the policy worlds on climate change and air pollution more difficult. However, several fora have the potential to advance such cooperation, including the abovementioned CCAC as well as international organisations such as the UN Environment, the World Health Organisation and the World Meteorological Organisation. In conclusion, there are many interlinkages between international law on climate change and on air pollution which should be explored. Greater coherence between climate change and air pollution policies provides an attractive opportunity to link global, regional and local environmental agendas in a mutually beneficial way. The blog post is based on the author’s conference paper ‘Climate Change and Air Pollution in International Law: Apart or Together? Short-lived Climate Pollutants in Asia’, which was presented at the Biennial Conference of the Asian Society of International Law in Seoul, August 2017, as well as: Yulia Yamineva and Seita Romppanen, ‘Is Law Failing to Address Air Pollution? Reflections on International and EU Developments’ [Forthcoming in 2017] Review of European, Comparative & International Environmental Law, 26 (3); Yulia Yamineva and Kati Kulovesi, ‘Keeping the Arctic White: The Legal and Governance Landscape for Reducing Short-lived Climate Pollutants in the Arctic Region and Opportunities for Its Future Development’, in review. See Aleksandra Cavoski, ‘The Unintended Consequences of EU Law and Policy on Air Pollution’, [Forthcoming in 2017] Review of European, Comparative & International Environmental Law, 26 (3). THERE IS an important ‘ambition gap’ between the climate change mitigation policies pledged by countries in context of the Paris Agreement and those needed to avoid dangerous climate change. Discussions on ways to step up climate change mitigation efforts commonly focus on ways to reduce carbon dioxide (CO2) emissions. These indeed play a crucial role in long-term climate change mitigation. However, achieving radical cuts in CO2 emissions also requires a fundamental economic and energy transformation that is proving time-consuming to achieve. OUR ARGUMENT is that short-lived climate pollutants (SLCPs) provide an attractive option that could ‘buy’ more time to cut CO2 emissions. The United Nations Environment Programme has estimated that reducing SLCP emissions, especially methane and black carbon, could slow the rate of global warming by 0.4-0.5°C by 2040 (UNEP, 2011). This is an important contribution given that the existing climate policies have been estimated to limit the global average temperature increase only between 2.9°C and 3.4°C by the end of the century (UNEP, 2016)., thus falling short of the 2°C target in the Paris Agreement. SLCPS INCLUDE methane, some hydrofluorocarbons (HFCs), tropospheric ozone and black carbon. What unites them is a significant short-term warming effect on the climate. Methane, tropospheric ozone and black carbon cause local air pollution, thereby adversely affecting human health and ecosystems, including by reducing crop yields. AT THE CCEEL, we have recently launched a new five-year research project known as ClimaSlow (Slowing Down Climate Change: Combining Climate Law and Climate Science to Identify the Best Options to Reduce Emissions of Short-Lived Climate Forcers in Developing Countries). The project is led by Professor Kati Kulovesi and funded through an European Research Council (ERC) Starting Grant for 2017-2021. Other CCEEL members involved in the project are Dr Yulia Yamineva (Senior Researcher) and Veera Jerkku (PhD candidate). The project also involves participation by the UEF Aerosol Physics group. ONE OF the factors driving our interest in SLCPs is that we see them as an interesting opportunity to merge the global climate change agenda with the local health and environmental agendas. Air pollution poses a considerable risk to human health worldwide. It leads to heart and lung failures and cancer, causing approximately 6.5 million deaths each year (WHO, 2016). Through aggressive reductions in black carbon emissions, it would be possible to avoid 2.4 million premature deaths annually by 2030 as a result of reduced exposure to fine particulate matter (UNEP, 2011). THE GROWTH in SLCP emissions over the next decades is expected to be driven by developing countries. Therefore, in addition to the focus on international and transnational cooperation, the ClimaSlow project looks at three national case studies: China, India and Nepal. CHINA AND India are among the world’s key sources of black carbon and methane emissions and their emissions of HFCs are also set to rise. Air pollution is also an acute problem in all three countries damaging both public health and the economy. In China, for instance, air pollution is implicated as a leading cause of mortality (UNEP, 2015). The project will look at the policies and regulations in place in the case study countries, and seek to identify ways to strengthen them through both national and global action. It will also try to identify opportunities for others to learn from the experiences of the three case study countries. ONE OF the project’s motivations is that the legal and regulatory options to strengthen global action on SLCPs have not been studied comprehensively, and the climate impacts of such options are not yet adequately understood. The ClimaSlow project seeks to fill the vacuum by undertaking an analysis of the fragmented and multi-layered global legal and regulatory framework for SLCPs. FURTHERMORE, THE ClimaSlow project breaks disciplinary boundaries through combining climate law and climate science. An analysis of legal and regulatory options is complemented by climate modelling work to determine their climate impacts and hence identify the most effective ways to achieve deep reductions in the emissions of SLCPs. THE PROJECT will seek to maintain an iterative dialogue and share its interim and final findings with a variety of stakeholders including scientists, NGOs and policy-makers both internationally and in the case study countries. This will for instance be done through organising workshops, developing policy briefs and participating in relevant events. The project will also culminate in an interdisciplinary scientific conference in 2022. YOU CAN stay up to date with project developments through the CCEEL website and Twitter account (@uefcceel), as well as the project’s own Twitter account @ClimaSlowERC. IN A forthcoming paper on the topic- ‘Examining the Instrumental Role of Regulation in the Development of Gas Supply Markets: Highlights from the US and EU’ (2017) I considered the effectiveness of regulation in the path towards restructuring and the development of competitive gas markets in which parallel policy objectives such as security of supply and sustainability are being pursued. IN A climate change and decarbonisation context, debates relating to the effectiveness and implications of market-based mechanisms like carbon tax and emissions trading scheme (ETS) as opposed to standard-setting or rule-making conventional approaches to regulation have gained significant attention recently. Pollution resulting from operations in the energy and petroleum industry are often considered as a major cause of greenhouse gas (GHG) emissions and climate change. In an increasingly international gas industry which is now ever more interconnected with electricity markets in major industrialized economies, the disposition of the major energy-related GHG emitting countries such as the US, Russia, and China becomes highly relevant. THE NORTH American shale gas revolution over the past eight years undeniably positions the US as the leading oil and gas producing country globally. It is therefore not surprising to see several legal disputes between environmental protection groups against energy firms who are seeking to take advantage of the boom in unconventional hydrocarbon production to obtain approvals for gas commercialisation and LNG projects. Recently, in Earthreports, Inc., et al. vs. Federal Energy Regulatory Commission, Dominion Cove Point LNG, et al. (2016). a US Court of Appeal for the DC Circuit rejected the claims of such environmental groups who contested the Federal Energy Regulatory Commission (FERC)’s conditional authorization of the conversion of the Cove Point LNG facility from an import maritime terminal to a mixed-use, import-and-export terminal. The environmentalists had argued that the FERC failed to consider the indirect environmental impacts that the Cove Point LNG conversion into a gas export facility might have, and therefore failed to satisfy its obligations under the National Environmental Policy Act (NEPA) of 1969. The Court held that under NEPA, the FERC is not required to consider indirect effects of increased natural gas exports through the Cove Point facility, including potential climate impacts. Assuming this decision indicates the current disposition in the US to gas utilisation and commercialisation, it may be argued that conventional and prescriptive standard-setting or rule-making regulatory approaches may not necessarily hinder the shale gas production and commercialisation boom. However, as with any conventional regulation approach, it does create additional compliance and monitoring costs. Another important issue in the scheme of things is the possibility of the US pulling out of the 2016 Paris Agreement following the recent elections and subsequent change in government. ADVOCATES OF market-based mechanisms like the ETS and carbon tax contend that placing a strong and predictable price or charge on carbon emissions is the most cost-effective and efficient path to GHG emissions reductions. It is noted that the ETS framework seem to have come under stronger criticisms, while carbon tax proponents seem to be gathering more support. Arguably, there are justifiable concerns about the de facto effectiveness of the ETS and its ‘cap and trade’ mechanism. Such concerns relate to whether it actually limits GHG emissions or it is just another theoretical economic construct which in reality depends on perfect markets and effective balancing of demand and supply of trading allowances and permits. Another problem with carbon pricing, especially carbon tax is the socio-political challenge of curtailing pass-through costs on final energy (gas and electricity) consumers. Hence the question- who eventually pays for the ‘charge’ on carbon? According to the International Energy Agency (IEA), the main reasons for low carbon prices generally includes: (i) economic downturn which led to lower-than-anticipated emissions, resulting in a surplus of emissions allowances; (ii) the socio-political challenge of setting tight emissions cap or high carbon prices vis-à-vis industrial competitiveness and rising consumer electricity prices; (iii) flattening or falling electricity demand (resulting in reduced demand for ETS allowances) due to the positive effects of energy efficiency policies in many jurisdictions. IN COMPARING carbon tax with subsidies as plausible market-based mechanisms for the US, it has been posited that: “A carbon tax is superior to subsidies for carbon-free energy sources [e.g. renewables] in two important respects. First, it has the opposite effect on the budget deficit. While subsidies increase the deficit, a carbon tax would decrease the deficit. Second, it is much easier to design and to implement. To be effective, a carbon tax need only deter consumption of hydrocarbons. Consumers are left with complete discretion with respect to the ways in which they reduce their consumption of hydrocarbons. For example, by increasing the efficiency of their use of energy or by substituting for hydrocarbons some mix of carbon-free fuels like wind power, solar power, or nuclear power.”. NOTABLY, IN most market and developed economies, who also happen to be the leading GHG emitting countries seemingly due to high energy utilisation and industrialisation, there has been a general disenchantment with the interventionist and seeming highhandedness of traditional regulatory forms. Consequently, there has been a preference for more deregulation and to adopt alternative regulatory approaches which encourages the desired behaviour by economic and financial incentives rather than by legal compulsion or sanctions. In this regard, such incentives can be: (i) negative i.e. the conduct is legally unconstrained unless the a firm chooses to act in an undesired way, then it must pay a charge e.g. carbon price; or (ii) positive i.e. if a firm chooses to act in a desired way it is awarded a subsidy or allowed a more cost-efficient tariff such as feed-in tariffs for renewables or energy conservation. THE APPARENT flexibility of market-based instruments should incentivize innovation and technological development. What it, however, does not guarantee ipso facto is accountability and trust unless such factors are built into the market structure and framework. It has also been argued that while the conventional command-based regulatory approaches may lead to more uncertainties about the apprehension, prosecution, and level of sanctions; market and economic instruments, on the other hand, could provide more a definite and predictable level of compliance motivating charges and payments. As far as developed market economies are concerned, it appears there is strong argument in favour of placing a price or a charge on energy-related GHG emissions. Although the main caveat or pragmatic concern is the credibility of the carbon emissions market, and whether such approaches will effectively curtail negative environmental and climatic impacts without imposing avoidable costs on operators and energy consumers. Also, as inquired earlier, who pays for the price of carbon emissions in an increasingly international gas supply and energy context? This paper will be published in a forthcoming 2017 issue of the Houston Journal of International Law. Brittany A Harris, ‘Repeating the Failures of Carbon Trading’ (2014) 23(3) Pac Rim L & Pol’y J 755 – 793; the International Energy Agency (IEA), ‘Energy, Climate Change and Environment 2016 Insights’ (IEA Publications, 2016) 1 – 133; Adam Whitmore, Can Emissions Trading Produce Adequate Carbon Prices? Energycollective, January 23, 2017. Energy industry related GHG emissions include CO2, methane (CH4) from natural gas production and nitrous oxide (N2O). These gases are quantified in terms of their global warming potential relative to CO2. For instance, gas flaring and venting is one of the main hydrocarbon exploration and production processes with environmental implications to the extent that CH4 is one of the main components of natural gas. Flaring is the controlled burning of natural gas produced in association with oil in the course of routine oil and gas production operations. Venting is the controlled release of unburned gases directly into the atmosphere. In addition, water management, including water usage during drilling and hydraulic fracturing, and the protection of surface and ground water during drilling, fracturing, production and disposal activities, is a central environmental issue for unconventional gas production. See the International Energy Agency (IEA), ‘Energy Policies of IEA Countries: The United States 2014 Review’ (IEA Publications, 2014) at 209 – 211; IEA, ‘Energy, Climate Change and Environment 2016 Insights’ (IEA Publications, 2016) 1 – 133. Proven gas reserves in the US has increased by almost three-quarters since 2000, up to 9.1 trillion cubic metres (or 323 trillion cubic feet) by end 2012, or the equivalent of more than 100 years of production at 2012 consumption rates. Natural gas production is projected to continue to increase over the period to 2040. Improvements in advanced crude oil production technologies, such as hydraulic fracturing, are widely expected to continue to lift domestic supply into the medium term. The renaissance that the oil industry is undergoing is largely the result of growth in light tight oil (LTO) production, a boom that is expected to continue until 2020 at least. According to Forbes, ‘The 25 Biggest Oil and Gas Companies in The World’30 March, 2016: “The U.S. has seven companies in the top 25, more than any other country” Other countries/companies in the list includes Russia’s Gazprom and Rosneft as well as China’s Petro China. The previous US government administration, signed and ratified the Paris Agreement on climate change on 22 April 2016. According to Platts, Fact Box: Global energy implications of Tillerson as top US diplomat, 1 February 2017 at <www.platts.com/latest-news/oil/washington/fact-box-global-energy-implications-of-tillerson-21766883> accessed 09/02/2017, it seems the new administration may be more favourably disposed to Carbon Tax and intends “to keep a seat at the table of global climate talks to understand the impacts on Americans and US competitiveness”. See IEA, ‘Energy, Climate Change and Environment 2016 Insights’ ibid. In the power sector, carbon prices can influence the economic choices of investors, technology developers and consumers. They can moderate energy demand, deter new high-carbon investment and encourage low-carbon instead, and curtail the operation of existing high-emitting assets. Carbon pricing also plays a role in shifting corporate behaviour: by making climate change a financial rather than environmental reporting issue, it directly engages top management. 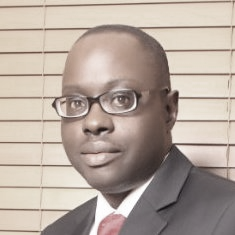 Tade Oyewunmi, ‘Emissions trading scheme and gas flaring in the United Kingdom Continental Shelf: a comment’ (2011)(5) International Energy Law Review 193-199; Adam Whitmore, Can Emissions Trading Produce Adequate Carbon Prices? Energycollective, January 23, 2017. In Brittany Harris, Repeating the Failures of Carbon Trading, (2014) 23(3) Pacific Rim Law & Policy Journal pp. 755 – 793. the author also points to the de facto ineffectiveness of the carbon trading mechanisms as applied in the pacific rim countries. See also Richard J. Pierce Jr., ‘The Past, Present, and Future of Energy Regulation’ (2011) 31(2) Utah Environmental Law Review pp. 291-308. IEA, ‘Energy, Climate Change and Environment 2016 Insights’ note 3 supra. Pierce Jr., note 9 supra. Sara Kymenvaara, Researcher, Climate Change Law, LL.M. A FAMOUS metaphor on climate change politics refers to people’s unrelenting driving of SUVs, disconnected from the threat of climate change they are contributing to. Although a lot has changed on the political arena with the entry into force of the Paris Agreement on 4 November 2016, the transport sector’s current state of play, in certain aspects, still corresponds to the metaphor’s dystopian features. The sector plays, however, an important role in achieving the Paris Agreement’s climate change mitigation objectives. IN THE EU, transport is set to contribute to the overall emission reduction target of 30% by 2030 from 2005-levels. The Commission has also set out a specific goal for the transport sector to reduce greenhouse gas emissions by 60% from 1990-levels by the year 2050. HOW TO achieve these ambitious objectives? Transport remains the only sector in EU where GHG emissions have risen since 1990. Emission reductions achieved by new motor vehicles’ improved energy efficiency as a result of the EU Regulations on passenger cars and vans are forecast to be offset by increased mobility demand. In fact, it seems that the 60% emission reduction target for the transport sector will require a “systemic change” in the transport system and sector as a whole. ONE OF the key measures to achieve the necessary systemic change is to end the transport sector’s heavy reliance on fossil fuels and start using cleaner vehicles and fuels. To this end, a key EU-level policy instrument is Directive 2014/94/EU on the deployment of alternative fuels infrastructure (the “AFI Directive”), a main legislative measure to implement the Commission’s alternative fuels strategy. ALTERNATIVE FUELS include, for example, electricity, hydrogen, natural gas and sustainable biofuels, and the AFI Directive’s main objective is to promote the construction of the infrastructure needed for the vehicles running on these fuels. However, installing infrastructure for vehicles using alternative fuels should correspond to the amount and types of vehicles in use. Such vehicles are not currently sold in amounts large enough to develop sufficiently competitive prices. Thus, the combination of high prices and lack of infrastructure discourages consumers from buying them. THEAFI Directive aims to end this vicious circle by obliging EU Member States to promote the development of their national markets for alternative fuels and set objectives and targets for the related infrastructure. The AFI Directive contains, however, no binding targets for infrastructure and the Member States’ objectives can be revised at a later stage. Thus, the AFI Directive ‘nudges’ rather than obliges Member States to develop markets and infrastructure for low-emission fuels and vehicles. CONCERNING ELECTRIC mobility, for example, the EU Member States must ensure that an “appropriate” number of public charging points are installed for electric vehicles in densely populated areas by 2020. The “appropriate number” is determined largely by the Member States themselves in relation to their national estimates of, and objectives for, the number of electric vehicles to be registered by 2020. ACHIEVING THE ambitious emission reduction goals in the transport sector also requires that policy incentives that counteract these objectives are identified and abolished. For long, the tax benefit to diesel fuels in many EU Member States has created such an incentive, let alone the failure to consider diesel’s external costs of air pollution on human health. Over half of all newly registered passenger cars in the EU run on diesel while alternative fuel vehicles currently only account for 4.9% of all passenger cars in use. THE FIGURES indicate that EU currently is far from achieving the objective of a Low-emission Mobility. Interestingly, however, certain estimates, mainly concerning Norway, predict that electric vehicles are set to conquer the markets extensively in the near future. However, Norway seems to be an exception to the otherwise increasing share of diesel vehicles in the rest of Europe; Norway’s share of electric vehicles in new car sales currently is currently almost 30%, while the same figure is 1.5% for Western Europe. In addition, hardly no other European country has a state budget robust enough to afford the fiscal incentives for electric vehicles that have stimulated their surge in Norway. AGAINST THIS backdrop, the national objectives and policy measures of the EU Member States to implement the AFI Directive will be essential for cutting oil dependence in the transport sector. If these national policy frameworks are sufficiently ambitious, the AFI Directive’s adaptive strategy may indeed solve the deadlock concerning lack of infrastructure and alternative fuel vehicles’ market penetration – and thus contribute to the decarbonisation of the transport sector within the timeframes set out by the EU’s climate policy objectives. Rainforests in the Paris Agreement: Old Wine, New Bottles? MERELY A year after its adoption, the landmark Paris climate change treaty came into effect on 4 November 2016. Its Parties are currently convening for the first time in Marrakesh, Morocco. These are clearly important steps for the United Nations climate change regime. At the same time, in light of countries’ nationally-determined contributions (NDCs) under the Paris Agreement, it is clear that more ambitious mitigation efforts are needed to achieve the 1.5°C and 2°C temperature goals included in the Agreement. LARGE FORESTS located in developing countries can play an important role in global climate change mitigation efforts by taking up carbon from the atmosphere and storing it. The Paris Agreement taps into this potential by encouraging countries to implement measures to reduce deforestation and forest degradation, commonly known as “REDD+”. The basic idea behind REDD+ is that developing countries can apply for compensation for the greenhouse gas emissions avoided by protecting and not cutting their standing forests. BUT DOES the inclusion of REDD+ in the Paris Agreement actually strengthen international efforts with respect to forests? The protection of natural forests through a multilateral, legally binding agreement has been on the international agenda for over two decades. Sovereignty concerns of developing countries were one of the main reasons why such agreement has not materialized. Nevertheless, during ten years of negotiations on REDD+ under the UN Framework Convention on Climate Change, countries have agreed on a variety of detailed rules in the form a dozen decisions by the Convention’s governing body known as the Conference of the Parties (COP). DECICIONS BY the UNFCCC COP have gradually helped to build trust, allowing developing countries to engage in negotiations that could be considered to be “safer” than negotiations on a legally binding agreement. Following the mention of REDD+ and the existing framework in the Paris Agreement, the collection of decisions taken to protect forests in developing countries is now for the first time anchored in a legally binding agreement. A LEGALLY binding agreement implies a stronger commitment by countries to comply with its provisions, as it usually requires ratification by national parliaments. However, the legal force of each particular provision in the agreement depends on the language used. Thus, while the Paris Agreement is clearly a legally binding international agreement, it contains both mandatory and non-mandatory language. Notably for forests, countries are merely “encouraged” to take and support REDD+ action; this does not create a legal obligation to implement REDD+. ALSO THE existing rules for REDD+ adopted by the COP make its implementation completely voluntary. Furthermore, they favour results-based payments, meaning that countries first need to take action on REDD+ before being compensated based on emission reductions. Such an approach excludes the possibility that REDD+ countries take on obligations to reduce forest emissions beforehand. REGARDLESS OF the largely voluntary nature of the legal framework for REDD+, Parties to the Paris Agreement have taken on a political commitment to support REDD+. This political recognition can arguably give REDD+ a higher profile and boost its implementation, which could result in more funding to address deforestation in developing countries and broader international support. ANOTHER POSITIVE step is that REDD+ rules relating to transparency require countries to report on emission reductions and on the impacts that activities have on forest communities and the environment (e.g. biological diversity). However, international oversight over such reporting is limited, and the process remains largely in the hands of national governments. IT IS useful to note here that while the Paris Agreement also establishes a broader framework for transparency and review, it does not change the transparency rules for REDD+ and recognizes that the REDD+ framework is “already developed”. This does not mean, however, that the existing REDD+ rules are cast in stone. On the contrary, the inclusion of REDD+ in the Paris Agreement creates, in my view, a stronger mandate for Parties to make changes to REDD+ rules in the future. This could mean, for example, aligning REDD+ rules with the new transparency framework applicable to the post-2020 climate regime. FINALLY, THE Paris Agreement also contains elements that can attract participation in REDD+. First, it effectively reassures that REDD+ will continue to be a part of the long-term international climate regime. This offers a positive assurance for those considering to invest in REDD+ in the medium- to long-term. SECOND, WHILE the relationship between countries’ nationally-determined contributions (NDCs) under the Paris Agreement and REDD+ remains subject to clarification, REDD+ could be part of the toolbox available for countries to achieve their NDCs. THIRD, FOR countries willing to use markets to finance REDD+, the agreement creates the legal basis for a market mechanism for countries to ostensibly trade emission reductions, although whether and how it will be used for REDD+ implementation remains to be seen. IN SHORT, the Paris Agreement does make a difference for REDD+ by enhancing political support for REDD+, strengthening the mandate to continue addressing REDD+ through the climate regime, and offering elements that can broaden country participation in the future. This post has also been published at CCEEL Blog at CCEEL website. THE PAST few weeks have been remarkable for the evolution of international climate law. A month ago, the Paris Agreement obtained the required ratifications both in terms of the number of countries and their share of global greenhouse gas emissions. As a result, the Paris Agreement will come into effect on 4 November 2016. Its Parties will convene for the first time next week in Marrakesh, Morocco. The entry into force of the Paris Agreement and the first meeting of its Parties are major steps forward for international climate law and policy under the auspices of the United Nations Framework Convention on Climate Change. BUT IMPORTANT developments have also taken place elsewhere. In early October, the International Civil Aviation Organisation (ICAO) reached agreement on a global mechanism to offset aviation emissions from 2020 onwards. This decision was taken against the backdrop of rapidly growing global aviation emissions. While not perfect, the new ICAO offsetting mechanism represents important progress after years of stalled negotiations. FINALLY, ON 15 October 2016 an important new amendment was adopted to the Montreal Protocol on Substances that Deplete the Ozone Layer to phase out hydrofluorocarbons (HFCs). These are highly potent greenhouse gases used mostly in air conditioning and refrigerators. Without new regulatory measures, it was feared their emissions would grow, posing a serious threat to climate change mitigation efforts. Indeed, it has been estimated that if implemented, the Montreal Protocol amendment will slow down global warming by up to 0.5 degrees Celsius in the next few decades. THESE THREE developments are undoubtedly all significant milestones in the evolution of international law on climate change. Just a few years ago the prospects for all three agreements looked gloomy, and the recent developments thus show that countries are increasingly prepared to use international law as an instrument to tackle climate change. HOWEVER, LOOKING more closely, they also demonstrate that international climate law inhabits an increasingly complex legal and regulatory space with several sites of governance. Moreover, there is a growing emphasis on both national discretion and procedural obligations. The effects these shifts will have in practice will greatly depend on the level of implementation. Critical analysis by the academic community will be needed to understand the relevance of these developments for climate law and governance, and for environmental law more broadly. AGAINST THIS backdrop, we are launching this CCEEL blog to create a new forum for a critical debate on current developments in climate, energy and environmental law. In this first blog post, we offer a snapshot of our activities in the field of climate law. Future posts will focus mainly on substantive issues and will be published approximately twice a month. In addition to the climate law activities introduced here, CCEEL participates actively in research on, inter alia, international energy law and these activities will be covered in future posts. MANY OF us at CCEEL are closely following the global climate change negotiations and regularly participate in the UNFCCC process. We also frequently consult various organizations on international climate law and policy. Recent examples include several reports on negotiations for the Paris Agreement and the Agreement’s implementation prepared for the Finnish Ministry of the Environment. OUR RESEARCH covers both general aspects of the evolution of the UN climate regime, as well as the regime’s various substantive dimensions. Some of our most recent publications discuss the Warsaw Framework to reduce deforestation through REDD+, climate finance after the Paris Agreement, and options for the enhanced transparency framework of the new treaty. THE SCOPE of climate law is, however, much broader than the UN climate regime, and our research examines to which extent other international legal regimes can contribute to, or distract from, efforts to tackle climate change. Recent research by CCEEL staff specifically analyses efforts to address sectoral greenhouse gas emissions from international aviation and shipping through the International Civil Aviation Organization and the International Maritime Organization as well as interlinkages between climate change, ozone depletion and air pollution. Another important topic for climate policy and for our research concerns links between international trade law and climate law, including in the context of the World Trade Organization. Our activities are not, however, confined to the international level, but we are also actively following developments related to climate law in the European Union and in Finland. THE CCEEL also has various research activities related to short-lived climate pollutants. The White project is looking at their regulation in the Arctic region, including how they are being addressed by the Arctic Council. In January 2017, we will be launching a new interdisciplinary research project ClimaSlow, funded through a 5-year grant by the European Research Council. Through this project, we will be looking at ways to strengthen the regulation of short-lived climate pollutants in key developing countries, including China, India and Nepal. THE INTIMATE link between climate change and energy issues is also reflected in CCEEL’s research activities. We have recently studied links between climate law and renewable energy law in a special issue of Climate Law, guest-edited by CCEEL staff. Moreover, we are interested in examining the international regulation of energy subsidies, and in particular fossil fuel subsidies. Related to this, we are exploring the extent to which – and under which conditions – international institutions can help steer countries away from fossil fuel production. WITH THIS introduction, we welcome all our students, researchers and the broader climate and environmental law community to follow our blog and engage in interactive discussion through comments.